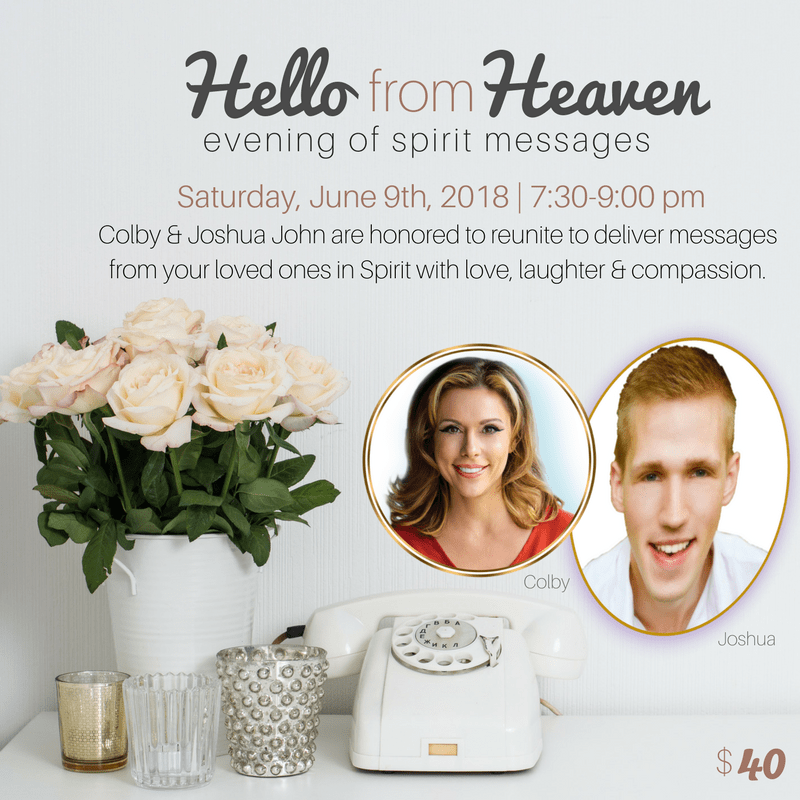 Medium Joshua John is returning to Los Angeles and reuniting with Colby Rebel for an evening of spirit messages! They are honored to come together to deliver messages from your loved ones in spirit. From personality to memories, they will share details with laughter, joy and compassion. Communicating with Spirit reminds us all that our loved ones are very much with us and that they are never truly gone. This promises to be an evening of celebration of your loved ones life and the love they shared with you. Joshua is a professional medium from Oregon known for compassion, empathy and phenominal detailed evidence. His heartfelt connection captures the soul. Colby is the host of the hit show Live with Colby Psychic Rebel and author of the best selling book Leap of Faith: How To Build Your Spiritual Business. She is a professonal psychic medium, teacher and master spiritual teacher located in Los Angeles, CA. *not all attendees are guaranteed a reading. *no refunds permitted.